CELEBRATE OUR FIRST YEAR WITH US! On January 2nd of 2019 we celebrated our 1 year anniversary! We want to thank everyone for their support - we would not be here without all the amazing people in Dayton! 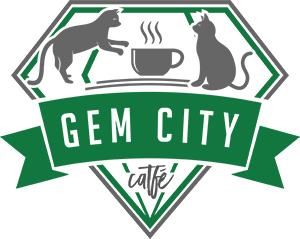 Help us raise fund for our non-profit, Gem City Kitties, by participating in our Silent Auction! Go down Memory Lane with us via our photo book that shows the whole process from construction to opening! We will also have a Time Capsule upstairs where everyone can add their wishes for our second year of existence! We will open it on January 2nd, 2020 and see which came true. The cat lounge will be member pricing all day. Specials on wine, cocktails, and champagne. If you want to visit with the kitties, we recommend reserving your spot today.